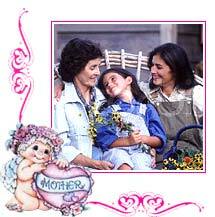 Mothers Day is celebrated in USA in a big way and has been commercialized to a great extent. It is considered as the next big day after Christmas and Valentines Day. Phone lines record a heavy traffic and card sales reaches its peak. Restaurants are filled to their maximum capacity as children don't want their mothers to cook on their special day. At home children express love for their mother by treating their moms with breakfast in the bed or making a sumptuous lunch. Tradition of gifting flowers and gifts is also rampant. More commonly gifted flowers are carnations are these are the official flower of Mothers Day. People buy red or pink carnations for the mothers who are living and place white carnations on the grave of the mothers who are dead. Children also present skits, plays and song in honor of their mother. Some also make cards and gifts at home to show their gratitude for their mother.